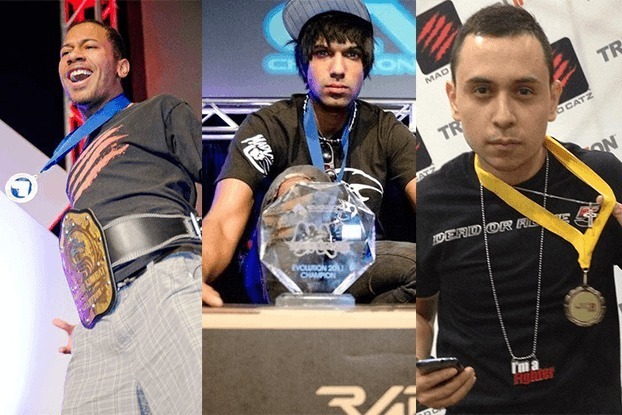 As part of this website’s ongoing focus towards fighting input lag, I decided to interview 3 prominent champions in the fighting game community. If you’re viewing this website, chances are you want the best display for your needs, but have you ever wondered what a tournament champion has to endure when competing in a high stakes gaming tournament? Carl “Perfect Legend” White, René “KOR” Maistry, and Emmanuel “MASTER” Rodriguez share their insight on how input lag affects them on a professional level. Perfect Legend: My name is Carl White, but I’m known to most people as “Perfect Legend”. I am the only back-to-back Mortal Kombat EVO World Champion from 2011-2012. I’m also the Dead or Alive EVO 2006 World Champion. KOR: My name is René Maistry, and I commonly go by “KOR” when competing in Tekken tournaments. I am a 24 year old student, salesman, and gamer born and raised in South Africa, currently residing in Houston TX. I started gaming with Tekken 5.0 and haven’t stopped since. I found a niche in the game and love the competitive atmosphere, as a result I’ve been incorporating my real life with my professional gaming career. MASTER: My name is Emmanuel Rodriguez, and I compete in Dead or Alive by the name “MASTER”. I currently work as a pharmacy technician when I’m not competing in Dead or Alive 5 tournaments. I’m considered by many as one of the best, if not the best player currently in the Dead or Alive franchise. I’ve been featured in television shows and world competitions, and have been competing for nearly 10 years, picking up the nickname “DOA Superhero” along the way. Why is input lag important to you? Perfect Legend: Input lag is very important because it can change scenarios within a match. If you’re used to practicing in a perfect environment, and then go to a tournament that uses imperfect displays, it throws off your timing and worsens your performance. Certain moves that are advantageous lose their advantage, and guaranteed situations can quickly become impossible due to the added lag on your inputs. Having to readjust to technical differences when you should be focusing on your opponent is a real pain. KOR: If you’re a competitive gamer, you know how important input lag is. Besides being an excuse when you lose, whether you’re streaming, recording, or practicing, it is a hindrance to your success. You always want to be at your best, and input lag prevents you from performing at your full potential. It is a nightmare for any gamer to deal with. MASTER: Input lag is very important to me because it affects my gameplay on many levels. Its hard to fully understand a game when playing on a display that has latency. Its hard to gauge if a move or combo is guaranteed because of a display’s inconsistencies. Perfect Legend: A good example is Johnny Cage’s knee move in the latest Mortal Kombat. This move has the ability to apply pressure and jail an opponent, creating a mixup scenario. My only option is to respond with a faster attack after the knee is blocked in order to get out of the pressure. Input lag makes this difficult, by making the input window tighter, and likely keeping me stuck in Johnny Cage’s pressure. KOR: Input lag can affect a match in Tekken greatly. The game operates at 60 frames per second, with most moves coming out in 10-25 frames, so you can imagine how fast you need to react to move animations. Even with something as fundamental as movement and blocking, input lag can prevent you from blocking an attack in time, or evading an attack that’s coming right at you. Input lag also affects the juggle timing of combos in Tekken, as some combos require strict timing before your opponent’s character lands on the ground. Due to the nature of how input lag affects a match in Tekken, its hard to take any match seriously when under these conditions. You are not losing to yourself, but rather factors out of your control, defeating the purpose of competitive gaming. MASTER: Input lag affects me by forcing me to adapt to a situation that I shouldn’t have to adapt to. Its like having a football player play on a windy day; it’s hard to constantly throw a pass in the same area with gusts of wind blowing the ball towards one side every time. I have to constantly try to input my moves early just to compensate for the delay. What’s worse is that the timing changes from monitor to monitor! I could train at home on my monitor, then go to a tournament that uses a different monitor, forcing me to readjust all of my timings because every monitor is built differently. My character Ryu Hayabusa has a move called the “Izuna Drop” that is strict on timing when doing a “Hi Counter” hold to an opponent’s attack. Even though I have practiced the motion for several years, variable lag invalidates my training and sometimes forces me to go the easy route just to maintain damage. Its daunting to know that minor differences in timing can cost you as much as $15,000 in a tournament, especially when you know it wasn’t really your fault. Tell us your experience with online play, and how variable lag can affect your performance online. KOR: I enjoy online gaming, but its not meant to be taken seriously. This is due to its variable tendencies and lag spikes during a match. Its already hard enough trying to compete on a display with no lag, and the nature of online play makes it difficult to use it as a viable source of competition and skill level. Its extremely difficult to play online the same way you play offline. MASTER: Online play is always going to be hit or miss when inputting your commands. What makes it worse is that you have to stack online’s variable lag on top of your display’s fixed lag. Online’s variable lag is like going to that arcade back in the day where the joysticks and buttons don’t work well 100% of the time. You never know which button will register correctly when playing online. In some cases, it can cancel your input entirely, making even simple commands an exercise in frustration. What display do you currently use to practice for video game tournaments? Perfect Legend: I practice on the ASUS VH236H. It is currently the standard for all fighting game tournaments, including the Evolution Championship Series. KOR: I am currently using the BenQ GL2450HM MLG Pro Circuit Console Monitor. MASTER: Right now, I practice with what I’ve got. I use Vizio, Samsung, and LG but I adjust my picture settings to “Game Mode” to reduce the amount of latency it has. I will try to get an ASUS monitor soon. While it is the standard, it still has a minuscule amount of latency. Its a lot of work to play a video game in its purest form. 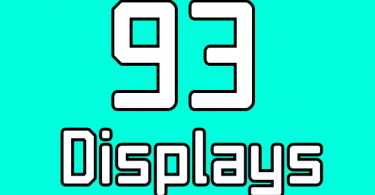 Finally, do you have a message for display manufacturers such as Samsung, ASUS, LG, and others that make your favorite gaming displays? Perfect Legend: My message to them is to to create, or continue making monitors that cater to gamers. Their support is greatly appreciated! KOR: I think they are doing a much better job nowadays catering to input lag, much kudos and thanks towards them. The prices are affordable to us gamers, and I enjoy the products the display manufacturers are putting out. I don’t fully understand the technology behind them, but I would definitely love to see larger screens without input lag. That is my only wish! MASTER: My message to all display manufacturers is to simply spend more time accomodating gamers with their “Game Modes”. They are doing a decent job right now, but they really need to go the extra mile with this. This may sound weird but gamers are the best kind of “addicts” to have for your business. If they know something is good, they won’t go anywhere else and will spread the word. Word of mouth is a huge thing in the fighting game community. Its not only the fighting game community, but PC gamers care about input lag as well, and want the best displays. When testing for displays, try to get pro gamers involved to receive their input, or keep an old-school CRT around to measure the differences in timing between it and a new display you are manufacturing. I would like to say thanks to Carl White, René Maistry, and Emmanuel Rodriguez for their participation in this interview. Hopefully it was an enlightening experience for you readers, and I hope display manufacturers take notice! Want to see which displays are good for gaming? Head over to the display database and check it out for yourself! 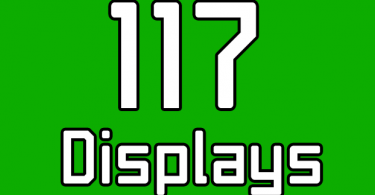 117 Displays in Database: Vizio, Hitachi, JVC, Philips, Magnavox and Sanyo added!